At Complete Function Hire, we love working closely with Melbourne’s foremost caterers, venues and event planners to deliver incredible events. We have the pleasure of working with the best in business! On this week’s blog, we speak to Ren Burton (Customer Relations and Social Media Marketing) from The Catering Company to learn about this year’s trends in catering and to find out what the awesome team of foodies at The Catering Company are up to. What are the trends in catering for 2017? We have noticed a big lean towards sustainable driven products. People are becoming more aware of the impact on the environment and as a result bringing this information into the workplace. 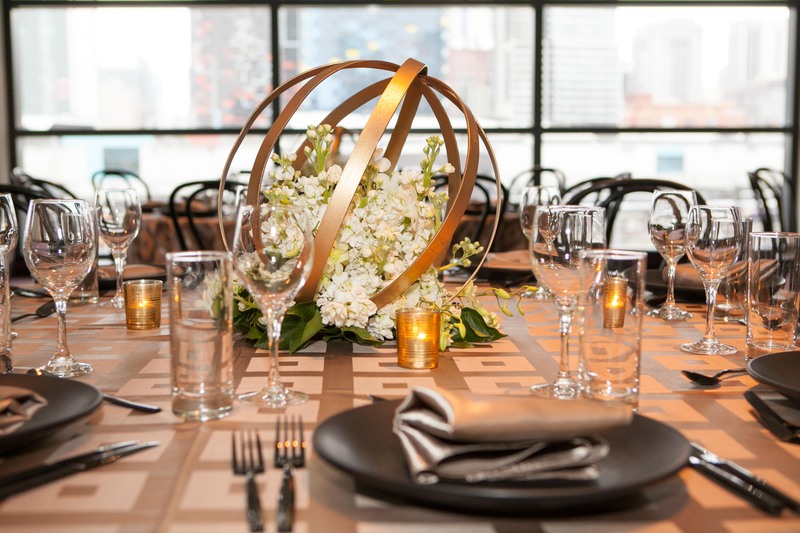 At The Catering Company, we always have the environment in mind through all of our operations. We hand pick our own fresh produce from the Epping Markets which allows us to design seasonal menus that are bursting with fresh flavours!. We also love working closely with and supporting amazing local suppliers. Packaging is a hot topic in catering at the moment and we have eliminated non-recyclable packaging materials and only use compostable products. How do you accommodate the dramatic increase in special dietary needs and food allergies? The level of special dietary needs for our clients continues to grow and we are not just talking Gluten Free and Dairy Free but a big rise in Veganism and Paleo diets also. People are becoming very conscious about what they are eating and cutting down on processed sugars and carbohydrates. To fulfil such requests, we have a Nutritionist and Dietary Chef in our team that are continually developing menus for The Catering Company to ensure we are able to cater to all kinds of dietary needs and so that we are at the forefront of food trends. What are the most popular trends and styles for food presentation? 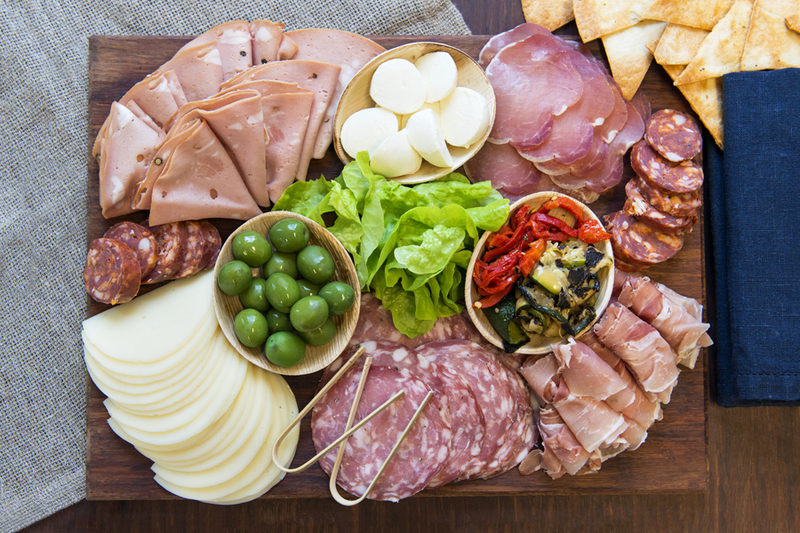 Delicious fresh food, simply presented on wooden boards. There is definitely a provincial / handmade trend in at the moment which celebrates the Artisan. This reflects in our food presentation too and we love presenting our food on simple wooden boards to let the food do the talking! What are the most popular choices from The Catering Company menus? 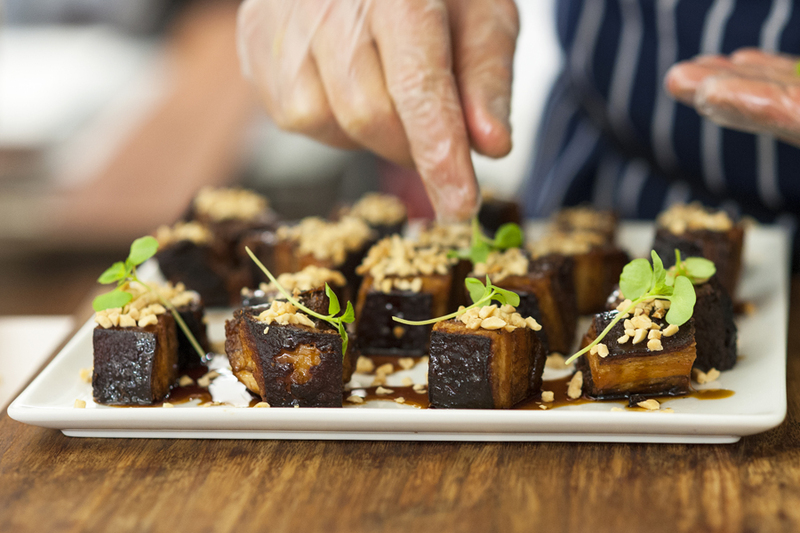 “Greenvale farm pork belly, black caramel, peanuts” by The Catering Company. 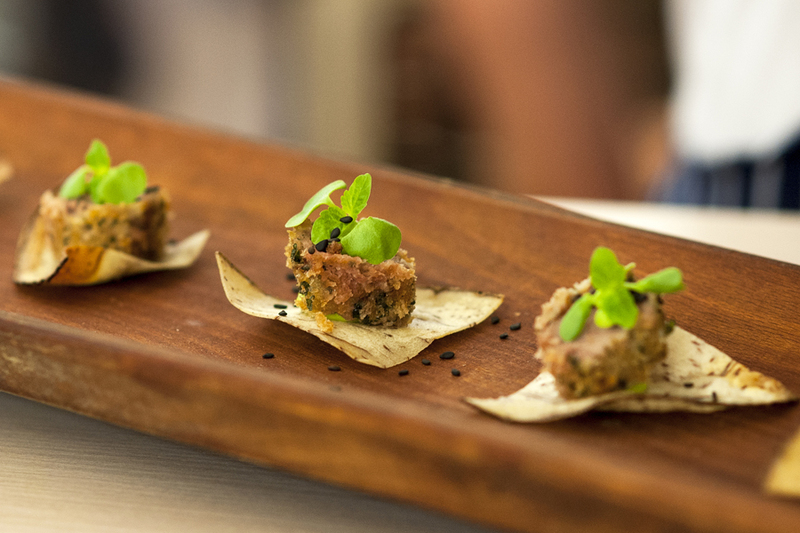 Some popular canapés of the moment are our ‘Lamb loin, shiso, lotus root, black sesame’ and our ‘Greenvale farm pork belly, black caramel, peanuts’. 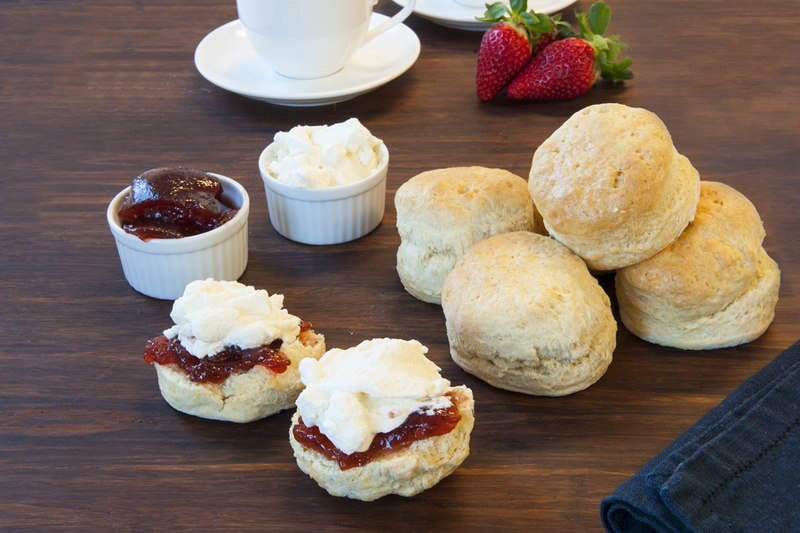 Home made scones with jam and cream are always popular for any event! The classics are always popular too and our ‘Pulled pork sliders with house made BBQ sauce and coleslaw’ is always a hit. Our corporate clients love the freshness and variety of our sandwich fillings and we can make up to 2000 a day! Our house baked goods from our pastry chef Tisa are always a crowd pleaser. She makes the best baked scones with jam and cream. What’s new at The Catering Company? Our weekly buffet specials are new for 2017 which are collated with a theme in mind. Last week we offered a French provincial menu which included a beautiful Grain fed Beef Chateaubriand with bacon and shallots and Confit duck Legs with roast pears, fennel and asparagus. Coming up is our Mexican Street Food Menu which is a colourful and flavourful buffet that will impress your guests. We love providing variety and diversity for our customers and our new themed buffet specials have been a huge hit! Thank you to our foodie friends at The Catering Company for their advice on the latest food trends! For all your wedding and event hire needs, be sure to contact the team at Complete Function Hire today. Meet the Complete Function Hire team of Melbourne event industry professionals. We love what we do! 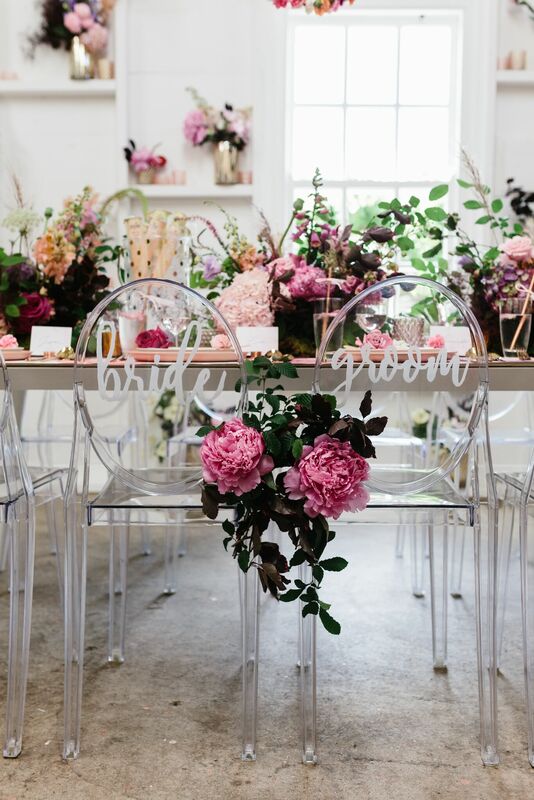 The team at Complete Function Hire enjoy being a part of so many different kinds of weddings, events, parties and celebrations all over Melbourne. What sets us apart is our team spirit, we are a tight knit bunch that works closely with each other and our event partners. This month we chat to our diligent Warehouse Manager, Dev Darvall. Dev is a popular bloke around Complete Function Hire as well as being popular with our event partners and clients – we are forever receiving complements about his customer service. It is Dev’s roll to manage our busy warehouse and ensure our furniture, equipment and AV hire products are of the best possible quality and that our operation runs smoothly. 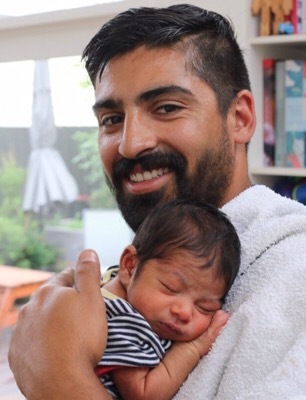 Carlton supporter and dog lover, Dev loves playing hockey and having a beer with family and friends when he is not working hard to deliver amazing events! I’ve worked in the industry for 4.5 years at Complete Function Hire. 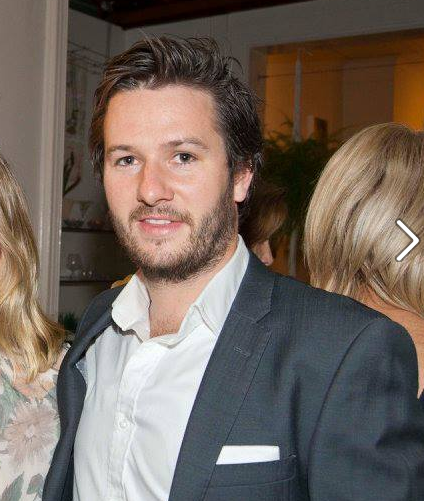 My first event was at a house in Toorak. I was with 3 other Complete Function Hire staff including one of the owners. I remember it distinctly because, as we pulled up to the house there was an Aston Martin DB5 in the driveway, which has always been my dream car! We get to go to a lot of amazing places that you wouldn’t usually get to see like the inside of airfields and aeroplane hangars, inside Government House, underneath Parliament House and to the top floor of some of the tallest buildings in the CBD. One of the most memorable events was setting up a sit down dinner inside the Carlton Football Club locker room for Grossi Florentino. As a Blues supporter, it was a dream come true to be in there. No day at Complete Function Hire is the same! We love being part of amazing Melbourne events like this one at Etihad Stadium. The best thing about working at Complete Function Hire is that every day is different. It keeps you on your toes and every day is exciting. We work hard, but the nature of the job means there is always a good story to tell over a beer at the end of the day. I play a lot of hockey and spend most afternoons and weekends down at the dog park or beach with my 10 month old German Shorthair Pointer called Winston or spending quality time with my four nephews and one niece. If you have an event or wedding coming up and want to work with a team that is committed to making your event a success, contact Complete Function Hire now. The team at Complete Function Hire love helping our clients create amazing events at home. What better excuse for a house party with family and friends than Australia Day?! In Melbourne, you never know what the weather will do so planning ahead is important. Make sure you have all the furniture and equipment you need to show your guests an Australia Day party they will remember with the Complete Function Hire Australia Day party checklist. No Australia Day party is complete without a good Aussie spread. A BBQ at home is an easy and cost effective way to feed your hungry guests. Fire up the ‘barbie’ to throw some ‘shrimp’ on. If you have lots of hungry mouths to feed, hiring an extra BBQ, hot plates or warming oven is a good move to ensure your food stays hot and your guests stay full. Classic Australia Day menu choices include lamingtons and a Pavlova – we have a range of platters, cake stands and crockery to make sure your home cooked creations take pride of place on the buffet. A well-stocked bar is an Australia Day party essential. An easy option for party planners is to create a self-serve bar for guests to help themselves. Ensure you have plenty of trestle tables and ice buckets to create an awesome self-serve bar as well as plenty of glassware to serve ice cold beers and refreshments. What will the Melbourne weather do on Australia Day? If it is going to be a scorcher or teaming with rain, it is a good tip to plan for both. Market umbrellas will add coverage for both types of weather and our Paddle Furniture range is a great option to provide extra seating for your back-yard party. 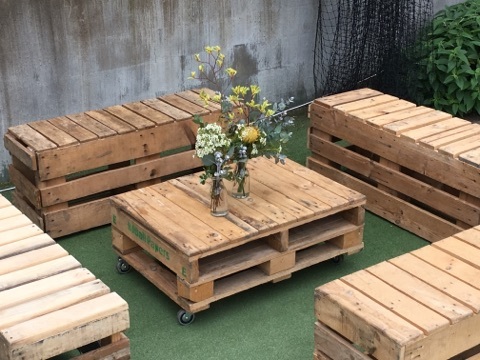 Complete Function Hire’s Paddle Range is the perfect furniture hire option to create the best Australia Day party at home. Background music is an Australia Day party must have. If you are listening to Triple J’s Hottest 100 Countdown (an Australia Day tradition) or if you need speakers to play your Best of John Farnham (and other Aussie classics), Complete Function Hire offer a one stop shop for all your AV and sound equipment needs. 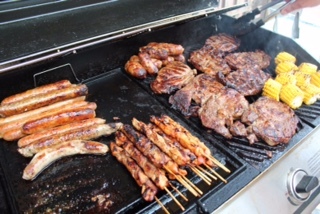 Contact the friendly team at Complete Function Hire today to find out how to create a memorable Australia Day party at home. 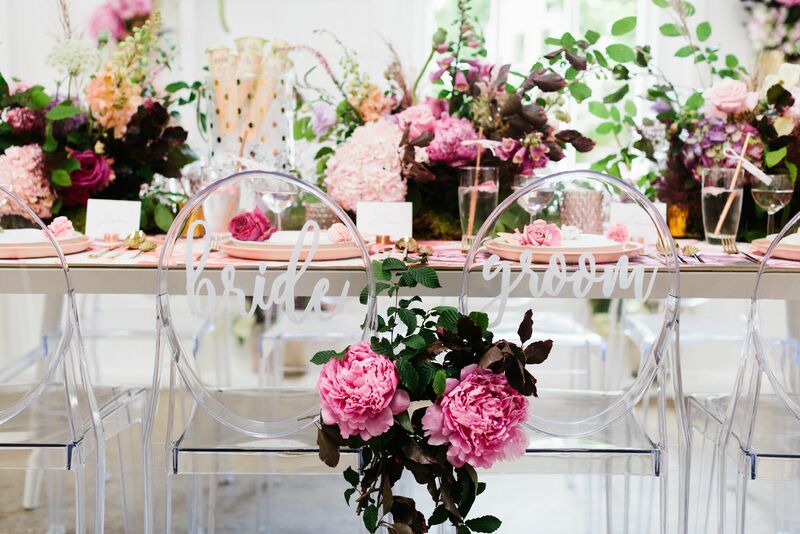 The team at Complete Function Hire enjoys working with Melbourne wedding and event clients to help create memorable experiences. 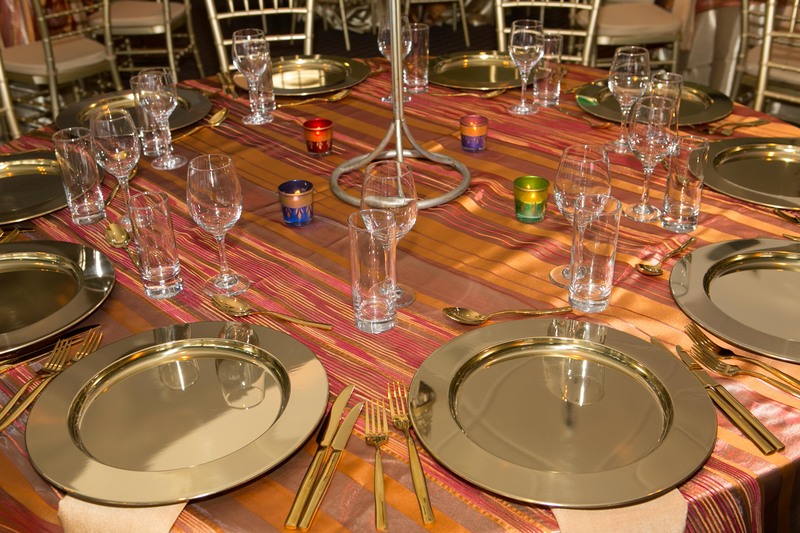 For us, delivering seamless events is all about meticulous planning and team work. On this month’s Who’s Who at Complete Function Hire, we get to know our industrious Operations Manager, Mitch Costin. Working for Complete Function Hire for the last 8 years, Mitch knows the business inside and out. Mitch is a much-loved member of the team that we could not do without! Geelong supporter, passionate beer brewer and perfectionist, it is Mitch’s role to ensure our busy operations department runs like clockwork to provide the best possible service to our wedding and event clients. How long have you been involved in the wedding and events industries? I started work at Complete Function Hire during University holidays back in 2009, and continued to work casually throughout my University degree. After completing my degree, I decided I preferred the physical work and I loved the culture at Complete Function Hire. I have worked here ever since, working my way up to my current role as Operations Manager. Most memorable event you have worked on at Complete Function Hire and why? One of the most memorable events for me was a dinner event for 900 guests at the Royal Exhibition Buildings. This event was many years ago and at the time, it was one of the largest events I had been a part of – it was exhilarating to be a part of such a huge event at such an iconic Melbourne venue! We get to work at so many weird and wonderful Melbourne venues and locations which is one of the best parts of the job – no event is ever the same. Getting out of town to the family farm and going to the footy at the MCG. I also enjoy commercially brewing my own beer and working on our pub in Lavers Hill. Definitely Tacos and beer. A match made in heaven! I grew up on a farm on The Great Ocean Road, between Apollo bay and The 12 Apostles. The relaxed friendly team culture and the flexible work environment. It is great to work hard for a company that really looks after its staff. The team at Complete Function Hire sincerely wish our clients and event partners all the very best for Christmas and a happy new year. What a year it has been! We have been very busy this year working with our event partners on a range of incredible events and weddings all over Melbourne. For the tenth time this year, it was an honour to work closely with the wonderful team at St Vincent’s Hospital and Fred and Ginger Catering to provide furniture and equipment hire for the Opera in The Market event for St Vincent’s charity. Another stand out charity event for the year was the ‘Off the Menu’ event for Camp Quality Victoria which we were proud to support. Le Tout Melbourne was another exciting 2016 event that showcased the awe-inspiring Hisense Arena. This event was so much fun for our team to work on and attend and really enjoyed working in collaboration with a great group of event suppliers and the awesome events team at Melbourne and Olympic Parks. It was exciting to work in collaboration with our industry partners on various amazing venue showcases this including A Night at The Museum (in conjunction with Restaurant Associates) and A Night on The Park (in conjunction with Melbourne Events Group). La Tout Melbourne at Hisense Arena was one of the many memorable events of 2016. We were excited to launch several new ranges and products this year including our gorgeous, on trend pastel ranges and our stunning Hair Pin furniture range (which was built in house). Our hand built Paddle Range was hugely popular again this year as was our range of coloured cutlery (including black, blue, bronze, gold and white). Other popular event hire products for the year included our timeless Bentwood Chairs which were hired for so many events and weddings as well as our Gold Charger Plates and new white picket fencing. Complete Function Hire’s gold charger plates were a popular item for all kinds of events in 2016. For the first time, we launched a Virtual Tour of the Complete Function Hire Showroom which has allowed for people to visit our showroom online offering convenience for busy event planners. We were thrilled to launch our ‘Who’s Who at Complete Function Hire’ blog series that allows our wonderful clients to get to know our team. We also launched a series of blog articles designed to assist event planners and brides with the most up to date trends and advice. We were so excited for Complete Function Hire ‘All Rounder’ Matty Slingo who announced the arrival of his son this year and we congratulated Mitch Costin who stepped up into the role of Operations Manager. We were proud to announce our partnership with the Melbourne Rebels football club this year and a team highlight was a guided tour of AAMI Park Stadium as well as attending some exciting matches and events. 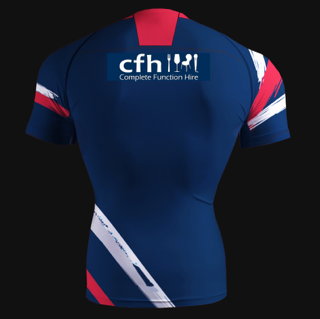 Complete Function Hire is a proud partner of the Melbourne Rebels. Thank you to our valued clients and trusted event partners for your ongoing support – our team loves working closely with you all and we are gearing up for a huge 2017! 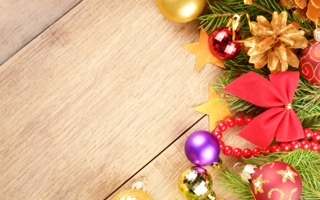 Our office is open over the Festive Season with the exception of the public holidays (we will be available via phone every day on 03 9699 9935. Please don’t hesitate to make contact with our friendly team for all your festive season and holiday event requirements. The team at Complete Function Hire have been a part of more wedding ceremonies and wedding receptions than we can count. 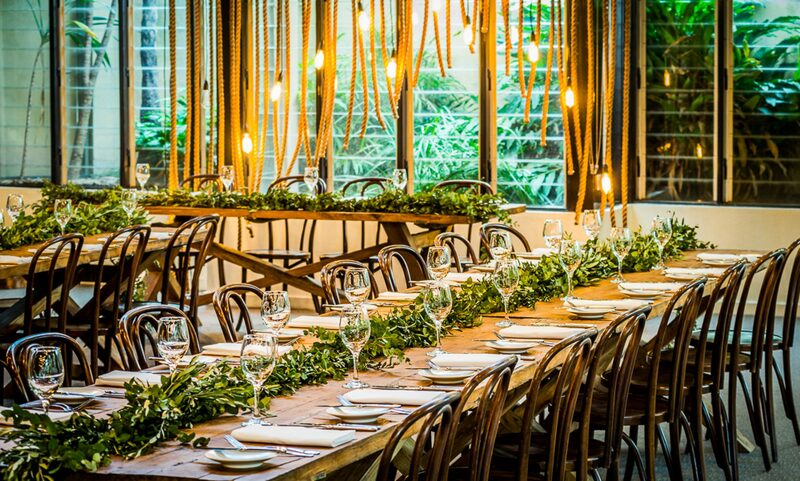 Our team enjoy being part of ceremonies and wedding receptions at different venues, private homes and amazing locations all over Melbourne! Having been a part of so many wedding receptions, our team have some great top tips on which songs are going to guarantee the dancefloor at your wedding is full all night long! 1. ‘Grease Mega mix’ – A classic way to start the proceedings, the Grease Mega mix is a combo of all the best tracks from the famous movie that all your guests will know off by heart. 2. ‘Dancing Queen’ or ‘Waterloo’ by ABBA. These famous dancefloor fillers are guaranteed to get the oldie’s (and the youngies!) moving. 3. ‘All Night Long’ by Lionel Richie. 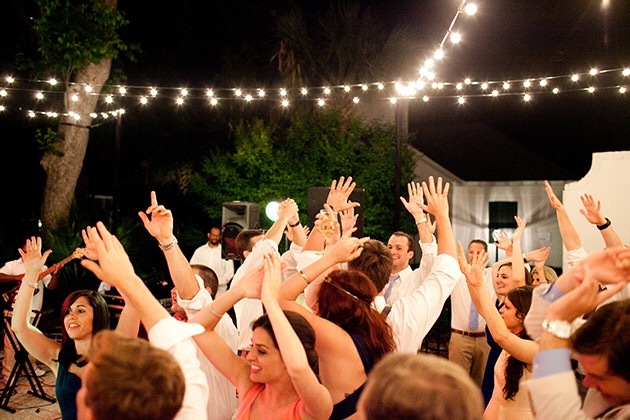 A wedding reception anthem that will get those final few guests onto the dancefloor. 4. ‘I Saw Her Standing There’ by The Beatles is a much-loved wedding reception anthem for both younger and older guests. 5. ‘Love Is the Air’ by John Paul Young – this song is a MUST for any good wedding reception playlist! 6. ‘Nutbush City Limits’ by Tina Turner. This song has its very own dance. Enough said! 7. ‘Gangnam Style’ by Psy. This super catchy Korean tune also has its own simple (and hilarious) dance moves that anyone can copy and that everyone seems to know! 8. ‘Billie Jean’ by Michael Jackson. The ultimate dance tune for any good party. Laugh as your family and friends try to moon walk the night away. 10. ‘New York, New York’ by Frank Sinatra. More often than not, this is the final song for the night and you can be guaranteed that your family and friends will all be singing along to this one (whilst begging the DJ to play one last song). If you need help with planning your special day, the team at Complete Function Hire would love to talk CLICK HERE TO CONTACT. The team at Complete Function Hire enjoy being part of so many special occasions and Melbourne events. 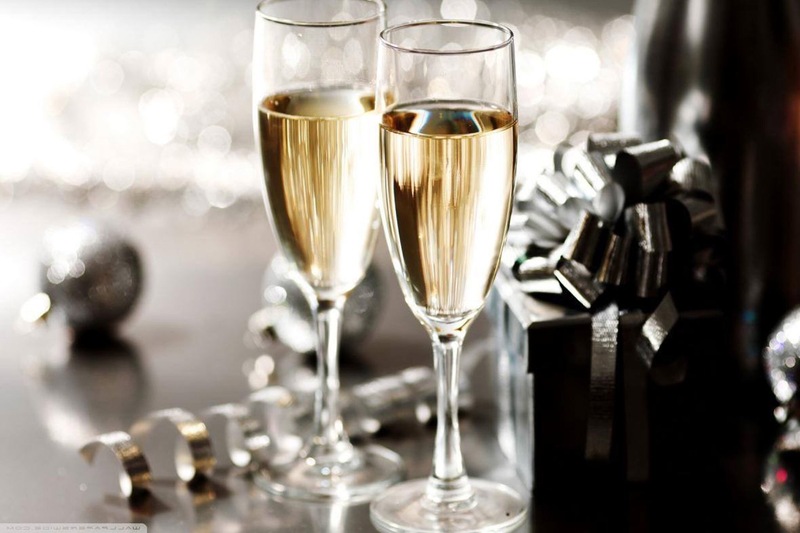 We work with many private and corporate event clients who love hosting their New Year’s Eve celebrations at home. The team of event professionals at Complete Function Hire have come up with the ultimate event planner’s checklist for furniture and equipment hire to make your NYE party really rock! No New Year’s Eve party would be complete without loud music! Whether you want some extra volume for your favourite playlist of 80’s classics or if you need speakers, PA or a microphone for your DJ, Complete Function Hire have all your bases covered. 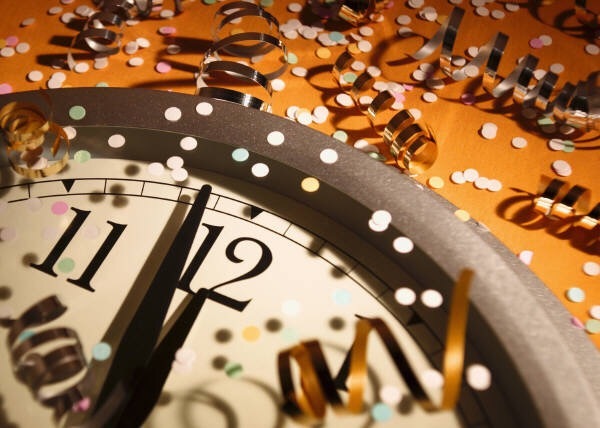 It’s time to celebrate the year that was. Gear up for that midnight “cheers” by organising the perfect bar for your party at home. Whether you are providing a self-service bar or have engaged some bar staff, Complete Function Hire have a huge range of temporary bars and bar equipment that will ensure your drinks are ice cold and ready to refresh your thirsty guests. Glassware, ice buckets and punch bowls are always essential and we always recommend extra champagne flutes for parties that plan to do an official or unofficial ‘toast’. For those that would rather lounge and reminisce about the year that was, a cosy lounge area is always a hit at any NYE house party. Create a comfortable environment for your party with couches and coffee tables and make sure you also organise bar tables for guest drinks. For those scorching hot Melbourne night’s, large market umbrellas and pop up marquee’s will add shelter to your outdoor party area. Complete Function Hire have all your bar bases covered from glassware hire to bars and equipment. For all your New Year’s Eve party hire needs, chat to the team at Complete Function Hire who can recommend the best hire solutions for your event. The team at Complete Function Hire genuinely love being involved in Melbourne’s wedding and events industries. Our team of event industry professionals use their experience and personalised approach to ensure Complete Function Hire’s event partners and clients have the best possible event experiences – to us, it is all about customer service. On this month’s Who’s Who at Complete Function Hire, we get to know our hardworking Business Development Manager, Jamie Staton. 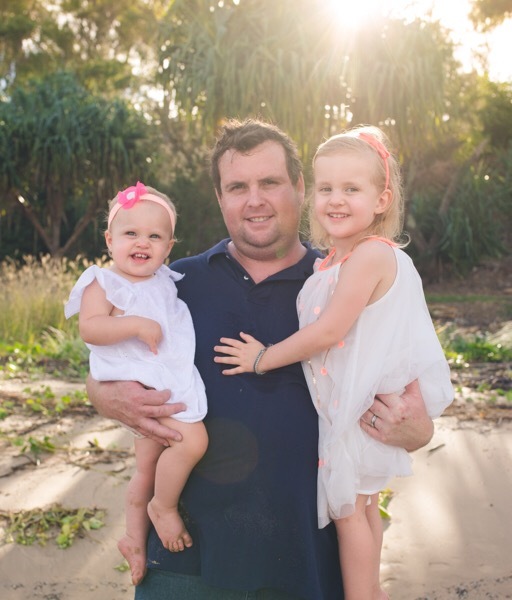 Family man, Essendon supporter and long standing hospitality and events industry extraordinaire, it is Jamie’s role to work closely with our event partners and clients to ensure events are delivered seamlessly every time. Jamie’s experience in hospitality and events has been vast. For over 20 years, Jamie has worked with Melbourne’s largest catering companies, venues, hotels, special events and events businesses in various roles which encompassed everything from back of house, to managing huge major events for Melbourne’s caterers to managing large event and operations teams. It is Jamie’s extensive operational experience in hospitality, weddings and events that means he can always provide the best solutions for our clients. I have been involved in the industry since 1994 – my first gig was with Peter Rowland Catering as a kitchen hand. I remember my first gig well – a huge event at the National Gallery of Victoria with Peter Rowland Catering – it was an exciting and nerve racking experience being part of such a huge event at such an iconic Melbourne venue. My first shift at Complete Function Hire was also memorable (and massive!). In July 2012, I had my first shift and was lucky to work alongside Matt Slingo – we worked hard that day, bumping in furniture and equipment all over Melbourne (around 10 different venues!). We all love working hard at Complete Function Hire and my first day definitely set the standard. That is a tough question as I have been a part of so many different types of events over the years. One that really stands out was Le Tout Melbourne. Le Tout Melbourne was an amazing event showcase at Hisense Arena in August this year – I loved working closely with the venue and group of event suppliers to put this amazing event together. It was wonderful to also attend the event which was Circus themed – the food, entertainment and venue were all mind blowing and everyone involved had such a great event experience. Le Tout Melbourne at Hisense Arena was one of Jamie’s most memorable events. Most fabulous place you have delivered furniture or event equipment to whilst working at Complete Function Hire? We have definitely had our fair share of celebrity citing’s and glamourous events. Shane Warne’s mansion in Toorak was amazing (Liz Hurley was there!) and another that stands out for me (as a Bomber fan) was dropping off furniture to James Hird’s house. I love being part of the Complete Function Hire team as it is a family environment of likeminded people. We all work closely together and our main objective is to provide the best service for our clients. We work hard but also know how to have a laugh together! When you are not working hard at Complete Function Hire, what are your favourite hobbies? Watching the footy and going to the footy with the kids. Having a round of golf, a cold beer and a nice meal. If you need help planning your next event – speak to Jamie and the team of event professionals at Complete Function Hire today. The team at Complete Function Hire were proud to work closely with the awesome events team at Etihad Stadium on a recent photoshoot and are excited to share some of the stunning images. 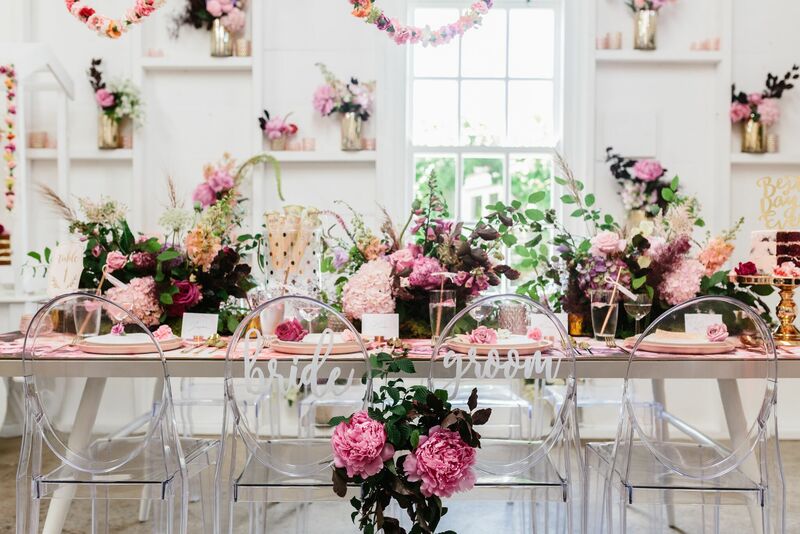 We provided furniture (featured in these beautiful images taken by Nico Keenan) and had fun working alongside our friends at Décor It who provided gorgeous styling to complement this magnificent Melbourne venue. 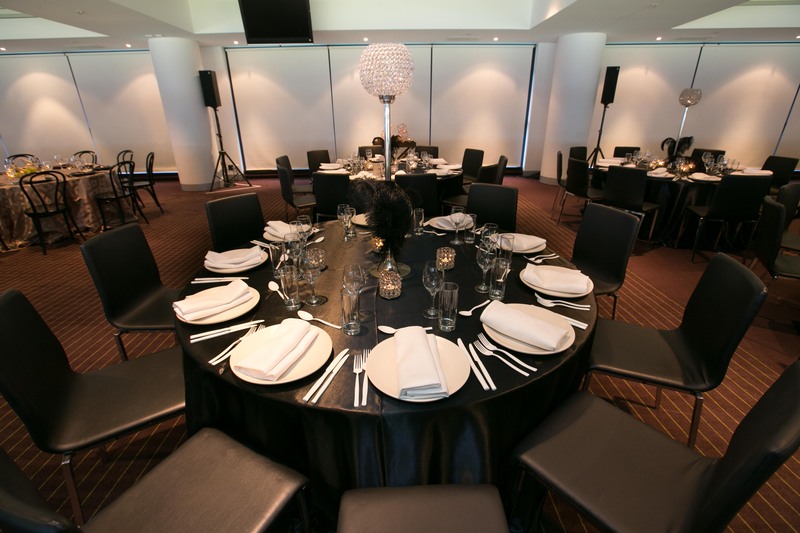 There are so many reasons to host your next corporate or private event at Etihad Stadium! 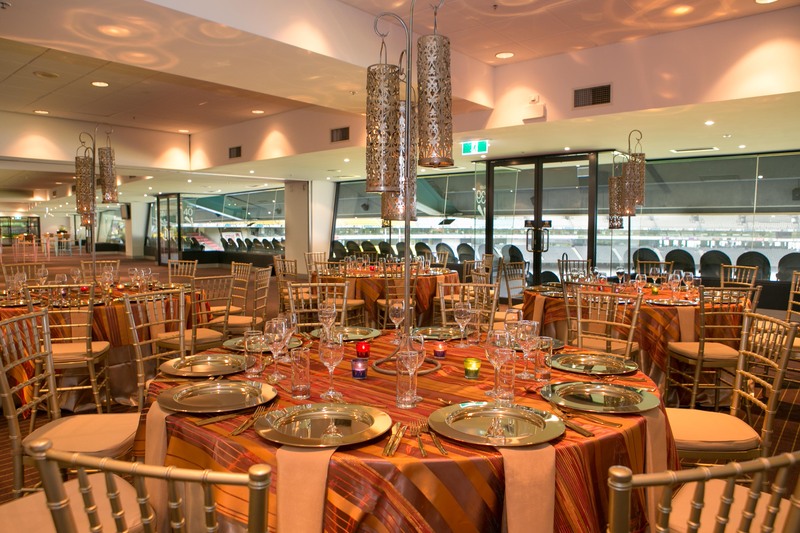 Etihad Stadium is a flexible venue that can accommodate a range of event styles and sizes. Working with the Etihad Stadium team on this recent photoshoot, we saw first-hand the versatile range of function spaces that can cater for intimate business meetings to awe inspiring stadium events with ease. 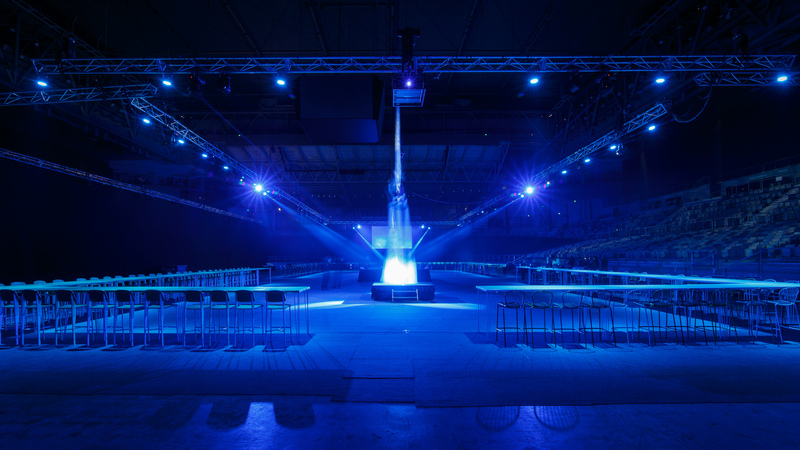 Added features such as vehicle access, pillar-less spaces and outdoor areas allow for any style of event to be perfectly suited – from exhibitions to cocktail parties and everything in between. Etihad Stadium has the WOW factor with its stunning views and ideal location. Etihad Stadium is an Iconic Melbourne venue that boasts gorgeous views of Victoria Harbour and of our beautiful city. Easy access to the venue and lots of transport options provides convenience for your event guests. The events team at Etihad Stadium provide the highest levels of customer service and world class catering. From first point of contact with the Etihad Stadium events team through to your event, you can be assured the highest levels of service (as well as world class catering). Our relationship with the Etihad Stadium team is a strong partnership that allows us to work closely together to provide the best possible results for all event clients. As we always say at Complete Function Hire – it’s all about relationships and the Etihad Stadium team are very much on the same page as us. 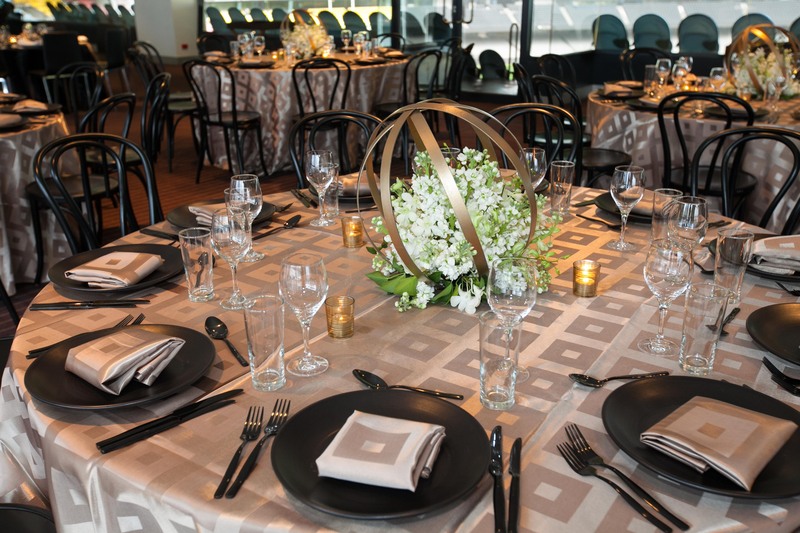 Etihad Stadium is the perfect Melbourne venue for all types of events from dinners to exhibitions. Gold Cutlery adds instant glamour to any table setting. 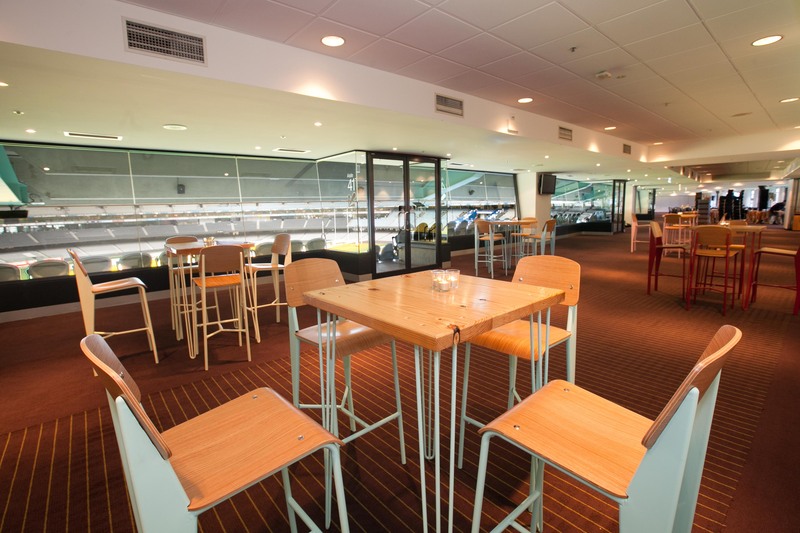 For your next event at Etihad Stadium, we would love to chat to you about your furniture hire requirements, click here to contact Complete Function Hire.